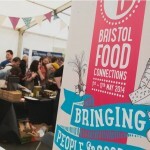 Bristol Food Network ran the Bristol Food Connections festival in 2014, 15 & 16. In 2017 a new independent organisation was set up to run the festival – Food Connections CIC. 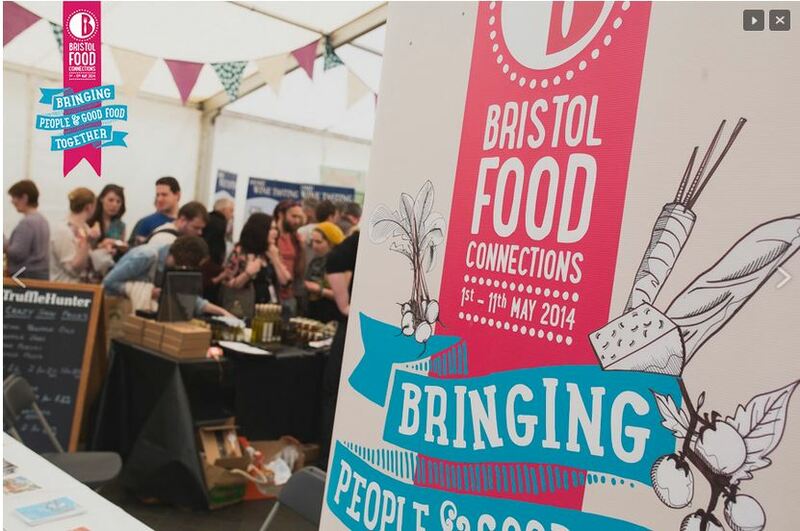 In 2014 & 15 Bristol Food Network Directors Lorna Knapman and Sid Sharma, along with a crack team of passionate food activists and professionals, organised and curated the Bristol Food Connections Festival. In 2016, Lorna stepped down, and Aine Morris took over as Festival Manager. Below is a summary of what Bristol Food Network were trying to achieve by running the event. Bristol Food Connections is a unique, citywide food festival that celebrates Bristol’s diverse food culture and community. Visitors of all ages will be taken on a journey through the city to discover and enjoy new foods, eateries, discussions and opportunities. It’s time to change the way we eat. Food Connections aims to change how we think about food and how we eat by ‘Bringing people and good food together’ and by celebrating the people, the produce and the projects that are putting Bristol on the map as a sustainable food capital. All over Bristol, dozens of individuals, groups, organisations and businesses – united by their passion for good food – will come together to stage a food event unlike any other. The flagship food event for Bristol 2015, European Green Capital, Food Connections will comprise over 130 events all over the city divided into six themes: land and growing, wellbeing, feasting and festivities, get cooking, brain food and families. Come and learn, taste, smell, touch and see what is going on for yourself – see our What’s On page for details. Bristol is an inspirational city when it comes to food. The diversity of communities and food cultures in the city make Bristol the ideal location for a collaborative event of this kind. From farmers’ markets and local shops to BBC food, independent restaurants, growers, bakeries, butchers and writers – there’s a lot going on and it deserves to be recognised and celebrated! The festival will join the dots and connect people with good food – food that is good for you, good for the environment and good for the local economy. By bringing people together and highlighting the good food projects already happening throughout the city. Events will showcase and highlight some of the small changes we can make that can have a real impact on our health, our environment and our local economy. But more than anything the festival will be FUN! Good food IS fun – it’s about sharing, collaborating, talking and eating together. Full support and involvement from the BBC, Bristol City Council, UWE, Bristol University and other Bristol institutions promise to make Food Connections a citywide success that inspires, entertains and connects people with good food.